I received the following product complimentary, the opinions are 100% my own. You can view my full disclosure policy here. 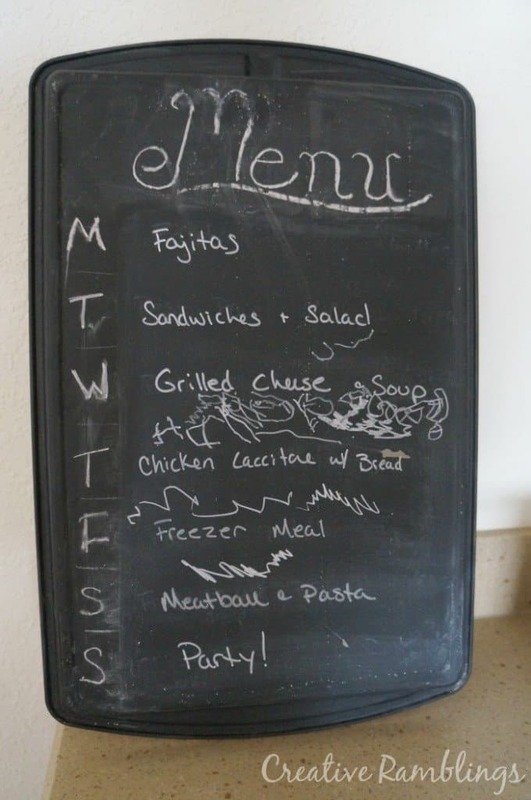 Just about a year ago I created a menu board to help in my meal planning mission. 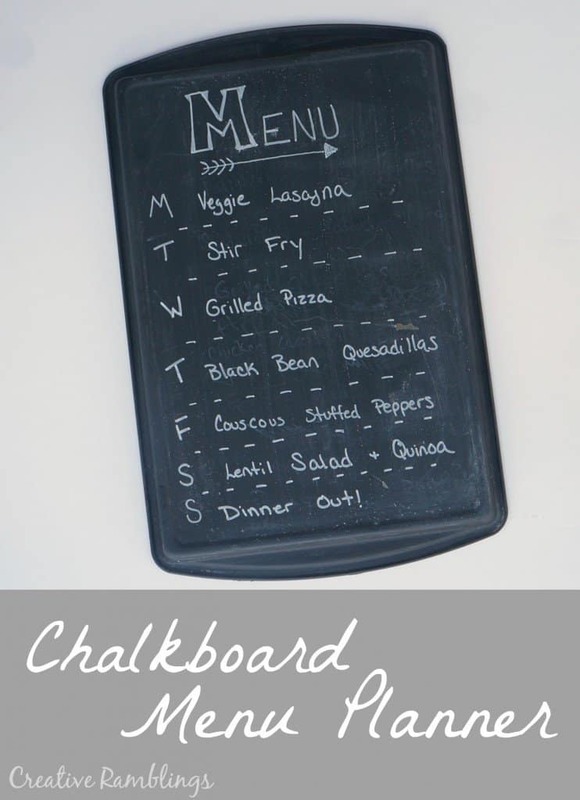 I added some chalkboard paint to an old baking pan to create a pretty visual of our weekly menu. It worked great, my husband loved knowing what was for dinner when he left in the morning. I loved not having to think about dinner once I had the week planned and shopped for. This past February, when Baby Girl was born, my grand meal planning ideals went out the window. This is my menu board now and what you see is from May. The little scribbles are from Little Lady trying to update it for me. I needed to to get back in the game. My family (and I) were happier and less hungry when I planned our meals. I have learned that if I put in a little time planning every Sunday my life is much easier the rest of the week. I do not have to put a lot of thought each night into dinner.I don’t know about you buy my kids can be a little crazy in that hour before dinner. I came across Meals by the Week a few weeks back and for the first time since Baby Girl was born we are back to menu planning! Meals by the Week is an online service that allows you to select your meals, scale them for the number of people in your family, then print your grocery shopping list. I’ve used it the last couple of weeks with my family and we’ve loved it! Being able to print a grocery list is ideal, I know exactly what I need without having to pour over every recipe. They also have a feature where you can select a weekly menu based on your local grocery store’s weekly ad. A week of meals and saving money too! Now that I’ve gotten my menu planning back on track, it was time to update my sad looking menu board. I cleaned up the front and kept the same general format. I write in our daily meals based on the printed menu I create with Meals by the Week. On the back I added some pretty fabric with hot glue. 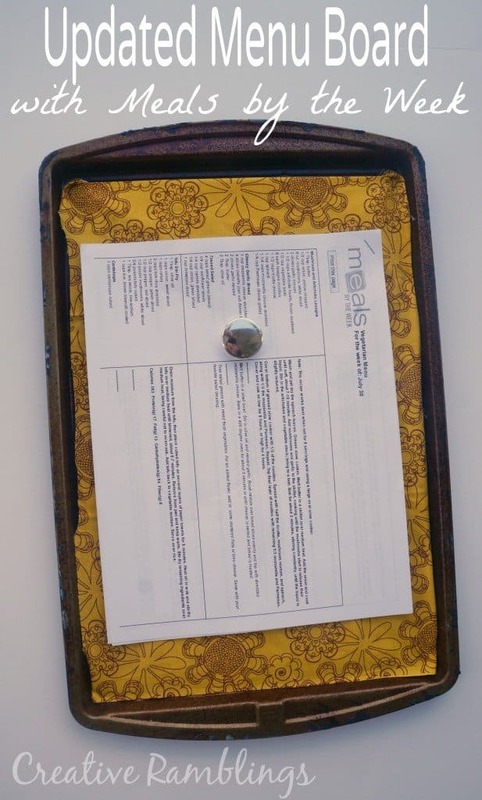 Here I am able to attach, with a magnet, my printed recipes and shopping list from Meals by the Week. Everything I need is in one handy place. This week we are trying out a Vegetarian menu. I like that the meals are not typical, even a bit exciting. However, they are not so over the top that my 3 year old won’t try them. I am looking forward to continuing with this service and keeping our family on track with pre-planned healthy meals. 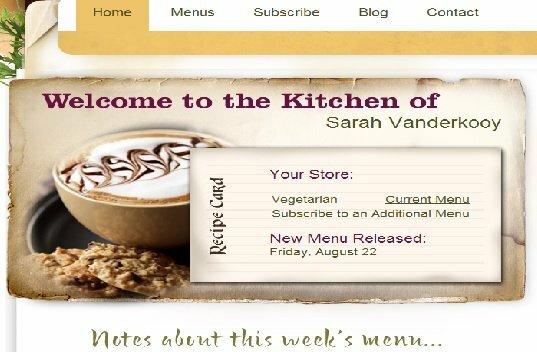 Want to give meal planning a try? Or maybe you have in the past and need some help getting started again. I am giving you the chance to win a subscription to Meals by the Week. I am not organized enough to plan meals in advance. Maybe this would help! Our favorite meal is breaded tilapia! Great use for an old baking pan! 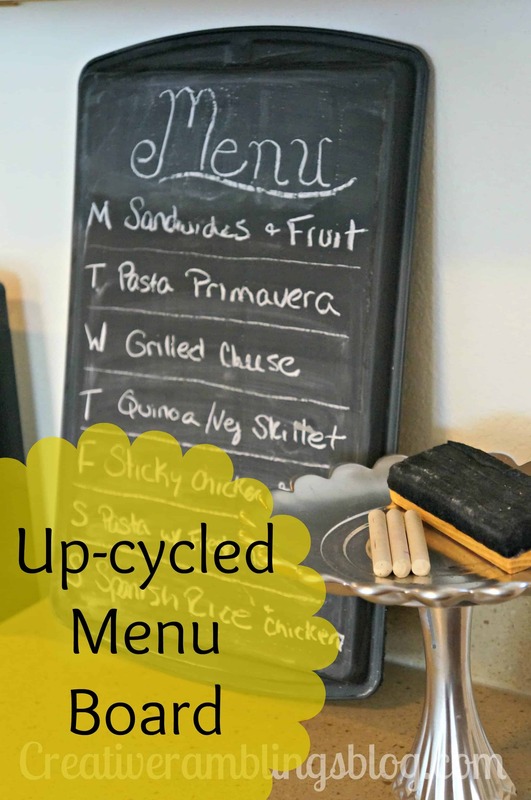 Before I was pregnant with Eva I used another online meal planning site to help us eat healthy on a budget. I’ve been really wanting to get us back on track. This looks like it would be great for us! Our favorite family meal consists of chicken tenders, fried squash, and watermelon. I used to do something similar to this and I really loved it. My husband has since taken over meal planning and cooking! Well that’s a nice treat!